Reverie Ltd offer high quality Autoclaved double gloss Nomex honeycomb core sandwich panels featuring a Nomex core sandwiched between two plies of T300 0.55mm thick Carbon Fibre skins producing a stiff but lightweight sheet. Our Carbon Nomex sandwich panels are available in thicknesses ranging from 4.0mm to 12.0 mm and panel sizes ranging from a convenient 500 x 500mm through to large 2000 x 1000mm panels. 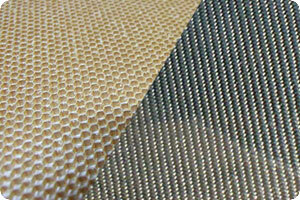 Or alternatively view our full range of Carbon Fibre Nomex core sheets.